One of my favorite things to do is travel. There is nothing more exciting than getting on a plane knowing that a new destination is waiting on the other side, ready to be explored. Over the years, I have developed a bit of a pre-travel routine and I want to share it with you all today. Outfit Plan. I like to go through my wardrobe and plan a few outfits for my trip. This prevents me from over packing and alleviates the hassle of deciding what to wear on vacation. Utilize Your Carry-on Thoughtfully. There is nothing worse than starting your vacation and finding out that your luggage has been lost. 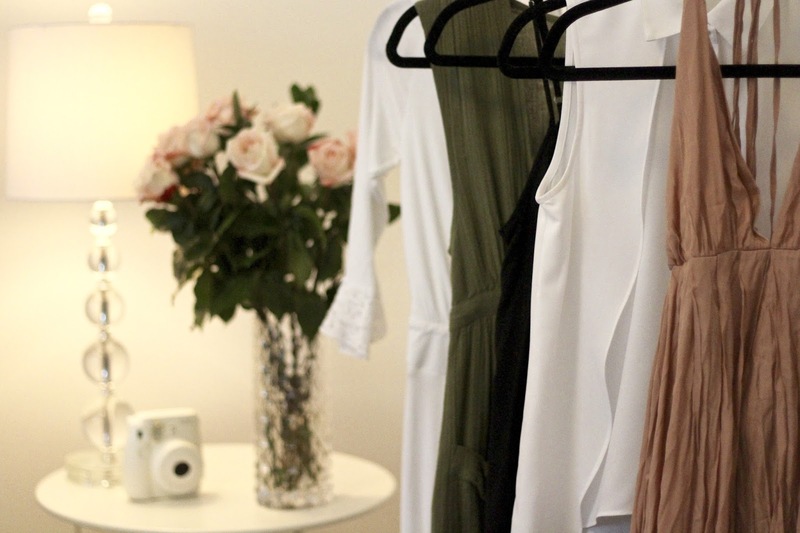 Avoid the stress of having nothing to wear by keeping a few complete outfits in your carry-on. Organize Travel Documents. Check your passport (months before) to ensure it hasn’t expired or been misplaced and keep it in a safe place with your flight and hotel itinerary. I can’t stress the importance of this step enough! One time, before travelling, the hubby and I realized that we had lost both our passports. After turning our house upside down without avail, we had to go to the passport offices and ask for a rush delivery. Luckily enough, it arrived in time - but talk about stressful! Bring Moisturizing Hair Care Products. Previously, I avoided packing extra shampoo and conditioner with me on vacation, knowing that most hotels provide it free. However, I’ve found that my hair tends to do weird things when I travel, especially to places with high humidity. I need products that will lock in moisture to avoid my hair from soaking up all the surrounding moisture from the environment. 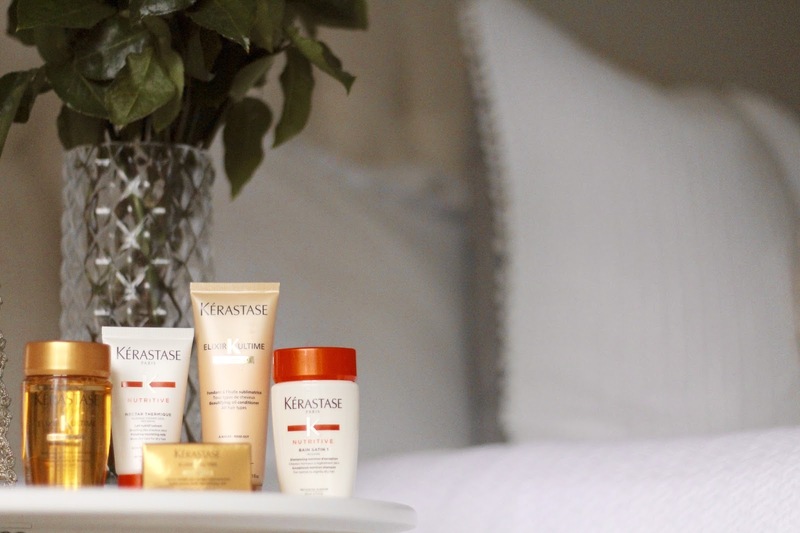 I’ll be taking this nutritive set by Keratase Paris to keep my hair in check. 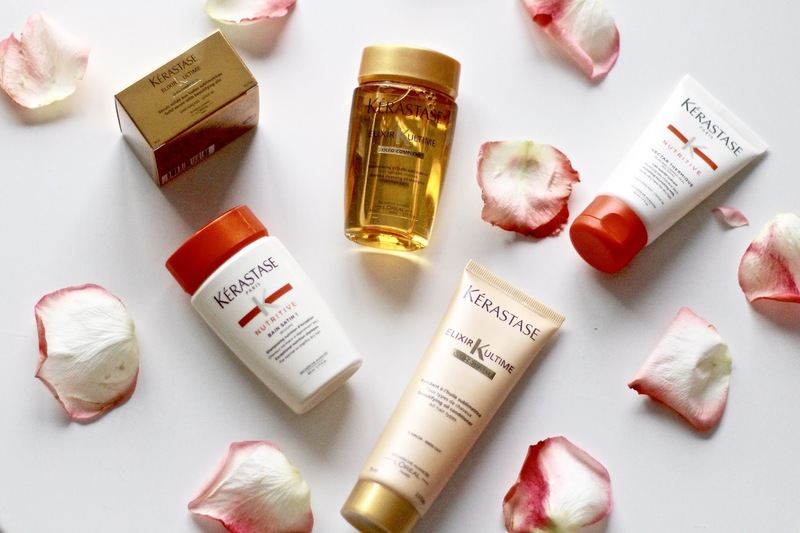 Not only will I be using the shampoo and conditioner, but also an oil-based serum to keep my hair looking healthy, full-bodied and smooth. How do you prepare yourself for a vacation? Are there any beauty essentials you must bring with you? Great post, thx for sharing thse tips, hun. You're welcome babe! Glad you liked it! I agree babe.. So necessary! A packing list is so helpful, Thanks for the tips. Great Post, follow my blog? Glad you like it babe! Thanks! Some really great tips! I am actually the worst packer so I need all the help I can get! Me ha encantado el post, fantástico. Un besazo. That's such a smart way of packing. I always have photoshoots when I travel so I end up bringing tons with me! I need to get a little smarter with my styling though so I can bring less pieces and still have many looks, like you! Lots of great tips here, I love bringing travel sized beauty products away with me too. Thanks babe! It's so much lighter to bring travel sized! Such great tips! I love outfit planning. That is an extremely helpful one. Me too, so much easier once you're on vacation! Great round up, I'm so bad at packing and I travel quite often too. I love the idea of doing it in steps! I also love traveling and these are awesome tips, which I need to follow as I'll travel in two weeks. So happy to help! Where are you off to? Oh, dear Rina, you are so well organised! But this makes really sense to me as I think if one doesn't organise a travel like you everything comes to not necessary stress. I try to be where I can =) I agree, travel should be stress-free so planning definitely helps with that! Thanks Irene! Have an awesome week! I rely SO heavily on my packing list! It saves me every time. :) Great tips, lady! Oh me too babe! Thanks! I Really love your post, nice blog ! Oh me too! It's a chance to really go all out if you want! Amazing tips love! I'm all about some list! fun post! Ill need to try these! Thanks! Hope they work for you! Aww Thanks Amelia.. I'm just really starting to get into it so that means a lot to me! Great tips, thank you for sharing dear! Great tips for travel! I always have to make a packign list or I am lost! I always plan my outfits out ahead of time as well! Otherwise I would just over pack, haha. These tips are fantastic! For me, planning the outfits is something I do way in advance! I'm obsessed with doing that, but being a fashion blogger, I think it's important! I totally agree. It's an absolute must, especially if you plan to take outfit photos for the blog while on vacation! I always rely on a packing list too! Thanks for sharing this tips. I do the same thing as you've written, but honestly I sometimes forget something. Lol! No problem babe! I almost always forget something still even with my extensive packing list and preparation lol.. so frustrating! Great post and points here darling! I would love to stick with a packing list and outfit planning, to avoid paying big bucks on overweight luggages (story of my life), and to carry a good selection of moisturisers! So important after spending hours on a dry airline cabin! Thank you for sharing Rina! Great list! I do plan my outfit in hopes that it helps me avoid over packing. Such an important thing too! Also so you don't need to think of what to wear during your trip!